Ian Cockbain says it is nice for Gloucestershire to put the fitness side of pre-season behind them after they headed to La Manga in Spain. 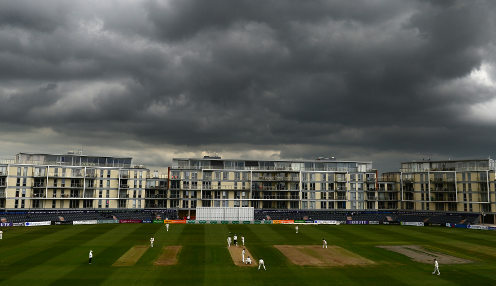 After finishing fifth in County Championship Division Two last in 2018, Glos will be determined to challenge for one of the three promotion places available this summer. And they should be in tip-top condition, having spent the weeks in the build-up to their Spanish sojourn lifting iron and putting miles in their legs. In his eight previous pre-seasons at Nevil Road, one-day batsman Cockbain had been accustomed to training indoors or in a marquee on the outfield but said: "Fitness is part and parcel of pre-season. "It's nice to get it done and dusted as early as possible and then just crack on with the cricket. Over the winter, the lads will be lifting the big weights and doing the longer runs. "It's about gradually building up to these (annual) fitness tests, then it's more of a maintenance throughput the season rather than trying to improve anything." Gloucs have signed Sussex seamer Stuart Whittingham over the winter, having lost leading wicket-taker Craig Miles - who claimed 56 Championship scalps last year - plus Liam Norwell to Warwickshire for 2019. Gloucestershire are 33/1 to win County Championship Division Two this season, with Worcestershire 5/1 and Glamorgan 33/1.